Bushy Park Ironworks- Architectural Metalwork with Soul. Created by Edward Bisgood and Colm Bagnall in 1990, Bushy Park Ironworks design, forge and fabricate in a range of metals, including steel, bronze, copper, brass, wrought iron and stainless steel for public and private architectural projects. Over a 3-year period, we restored one of the largest private collections of Decorative Ironwork in Europe. 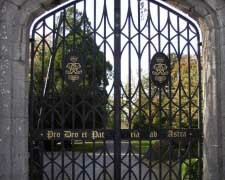 Forging of new Gothic-style Gates for the entrance incorporating the Family Motto and Coat of Arms. Advisors and restorers of the Cast-iron Balustrading for the main Staircase of this iconic, five-star Dublin city centre hotel. Other parts of the project included hand forging of Radiator Covers, stainless and gold plated Bathroom fittings, Brass Grilles and Bronze Foot Rails. IMMA – The Irish Museum of Modern Art, Dublin. 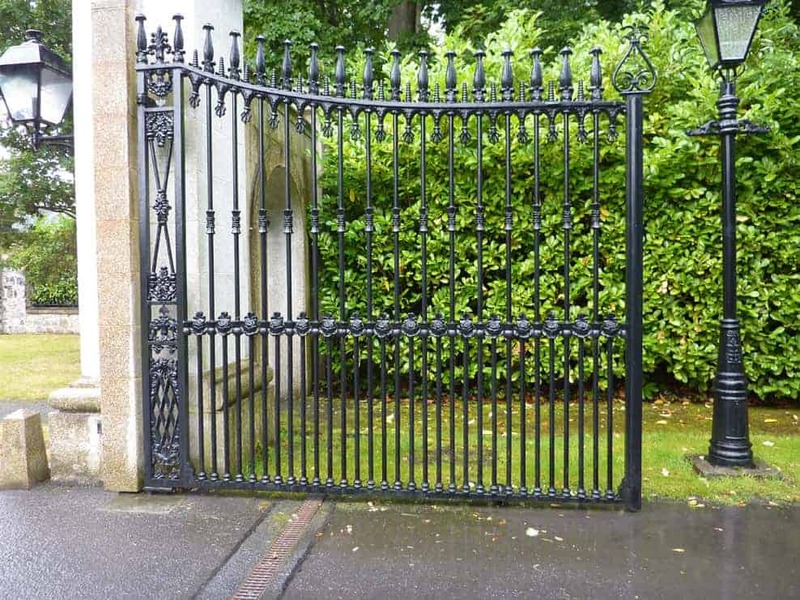 Recreation, forging and installation of new Entrance Gates and Side Gate to exactly match original gates. 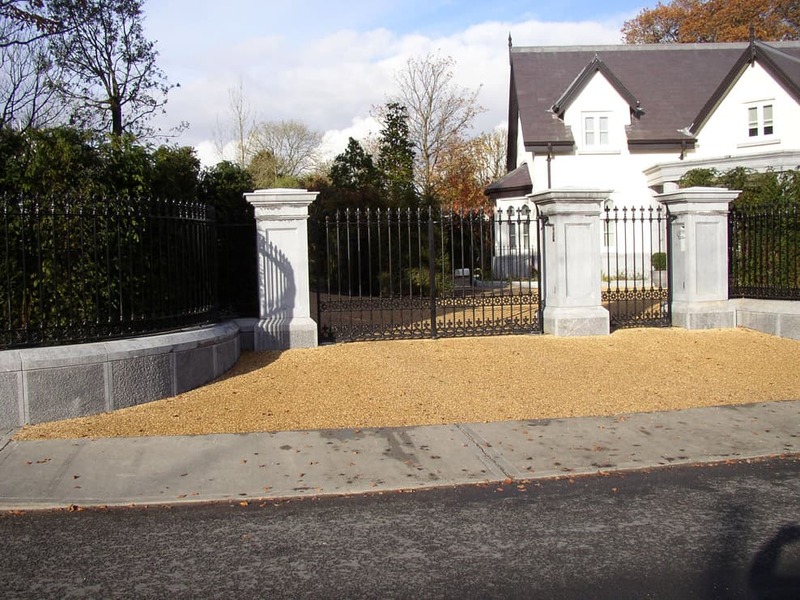 Restoration of the original front Entrance Gates and side Gates. The Ritz Carlton Hotel, Wicklow. Casting of brass Staircase Balustrades for the main stairs and decorative Bronze Internal Railings and Entrance Gates of this luxury, five-star Resort. 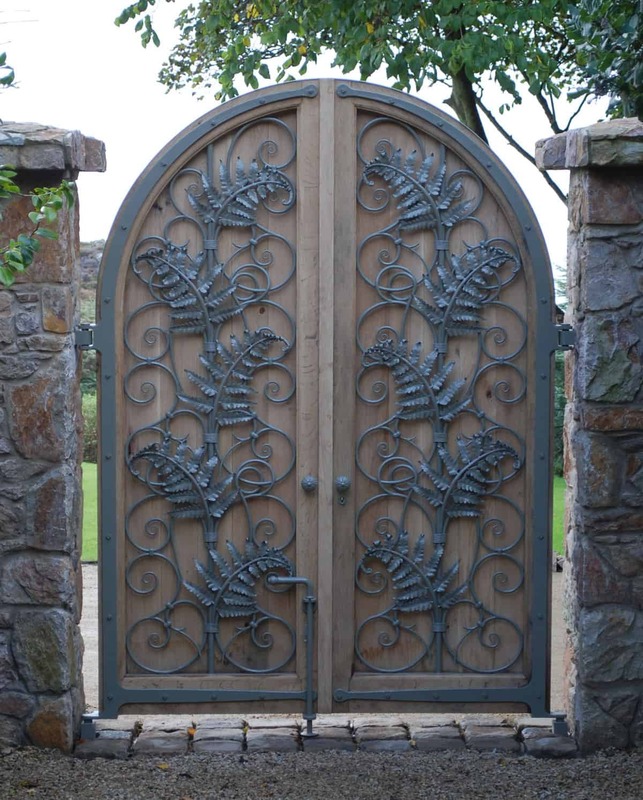 Design, forging and installation of a set of Ornate Gates with organic forms and leaves with gilded details. The National Trust, Northern Ireland. Forging of new Gates in Genuine Wrought Iron using only traditional blacksmithing techniques for an early 19th Century Castle Folly at Crom Castle. White Oak Golf Course, North Carolina, USA. Celtic style Entrance gates and Decorative Signage. Restoration of the original Boundary Railings and decorative Door Hinges. Complete restoration of a Turner-designed and built – Conservatory Circa 1870. New Side Gates to match original Entrance Gates.